I have decided to add on the last ten picks for the compensatory picks, mainly because I’m on track to break my monthly views record set back in June of 2013. So as a bit of a “thank you” to those of you who have taken the time to read this site, here are the last ten picks of the 2015 mock draft. A side note: Although James Shields has not been signed yet, the mock draft will be done based on the assumption that he will be signed before June. You can’t teach pitching to established major league arms, which presents a problem for the Colorado Rockies. In their atmospheric conditions, humidor or no humidor, the best plan for success is to develop starters and teach them how to pitch in Denver. The Rockies seem to have this figured out as they have a trio of impressive future starters coming through the ranks: Jon Gray, who projects to be an ace, Eddie Butler, a solid second arm, and Kyle Freeland, a pitcher who, as a Colorado native, may already have figured out the nuances of pitching in thin air. 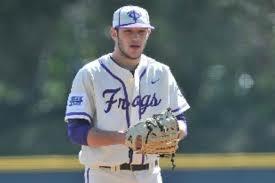 Alex Young of TCU would be an interesting fourth arm. 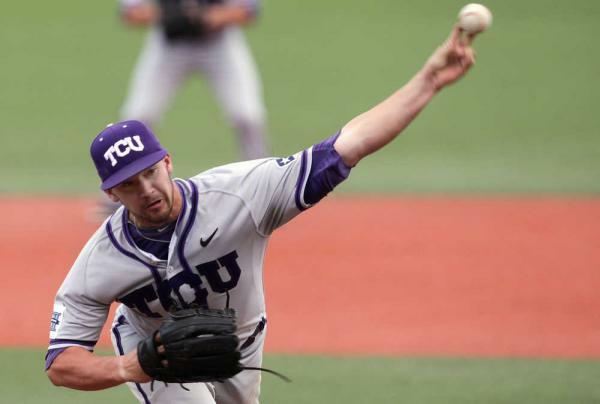 While he doesn’t have teammate Riley Ferrell’s fastball, or Brandon Finnegan’s tools, he does have the feel that allows him to be a more versatile pitcher. Like Ferrell, Young has more experience in the bullpen, but he also has worked in the rotation, and could make a seamless transition during his junior year. Young’s best asset is his pitch movement, his curve and slider are considered his best weapons, and while he’s reticent to use his changeup, proper development of said pitch, which already has some movement, will allow him to become a four pitch starter. And you thought the Miami Marlins were the king of fire sales. The Atlanta Braves have all but openly stated that they are building their future after the 2014 fiasco. Having unloaded much of their hitting corps, including their top power source in Evan Gattis, the Braves may want to look at developing another power bat at another position, And while previous selection DJ Stewart looks like a power hitter, he still needs to learn how to be one. The selection I have in mind for the Braves here is smaller than Gattis, but certainly could match him in terms of power. Chris Shaw an outfielder for Boston College, is likely going to play first base professionally, as that’s his original position. Much like Florida’s Richie Martin, Shaw needed a year to figure out how to hit collegiately, and when he finally did, he made an impression. After going deep 6 times last season, Shaw feasted on Cape Cod pitching, adding another 9 blasts, good for the league lead. He’s a left handed power hitter, a valuable commodity to have in a major league lineup, and he makes a conscious effort to correct his swing if he gets aggressive. Shaw’s not a fast runner, and there’s still a question as to why he was in the outfield during his sophomore season, but these concerns can be covered up by his defensive ability as a first baseman. He’d be a solid part of the Braves future lineup, and someone who could help fans forget Gattis in the future. Toronto is often at a disadvantage when it comes to the draft, as their home stadium is less then ideal when it comes to position players. The turf has been known to be a deal breaker for many an athlete, and the Jays have lost many talented players because no one wants to play there. Last season, they lucked out when they nabbed Jeff Hoffman and Max Pentecost, two high level players from college. 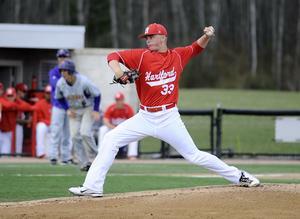 Hoffman was coming off Tommy John surgery, and Pentecost was coming off an outstanding summer ball and junior season. The Jays are going to look for a homegrown post-Jose Reyes plan, as two seasons on turf have worn him down, and I estimate he’s good for maybe five more seasons before there are more obvious problems. In this case, the best option is the defensively versatile John Aiello from Germantown Academy. 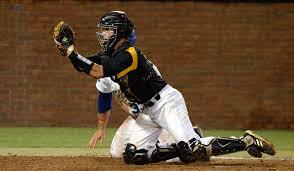 Aiello is a third baseman primarily, but he’s also capable as a shortstop. 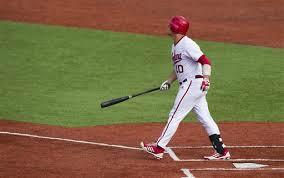 His power swing is better utilized when he’s hitting right-handed. Aiello also has the benefit of playing in a northern high school, which allows him to adapt to the cold of Toronto. If developed as a shortstop properly, Aiello figures to be a 5 hitter in the Jays lineup. Again, the turf issue may cut his career by a couple years, but he may be one of the more underrated prep stars in the draft. The Yankees need to realize that the perfect balance for a winning team is a mix of developed and bought talent, and while they certainly have the bought part down, they do need to develop another few bats for when their high profile acquisitions do finally wear down. Brett Gardner has been a solid start, but there needs to be more. Sometimes, when it comes to scouting players, especially for teams like the Yankees, there’s some value in looking in their own backyard. Look at the crosstown rival Mets and their developing prospect Steven Matz, or the Toronto Blue Jays and their prospect Dalton Pompey. It would be a pretty expansive backyard for the Yankees, as Niskayuna High School outfielder Garrett Whitley is almost 3 hours away from Yankee Stadium, but his talent is undeniable, and with the potential to be the first MLB draft pick in the school’s history, he’s really making a solid case for a first round pick. In a way, Whitley is like Gardner, but with more pop. He’s got value in the 9 or 2 spot of a lineup based on his speed, and he has the defensive capability and the arm that allows him to play centerfield for a major league team. The fact that he’s used to playing in the cold weather that comes with the territory of upstate New York makes him even more attractive. I’d be remiss to not point out the state of the Giants outfield in the future, as both Gregor Blanco and Hunter Pence will be 32 by the end of the 2015 season. While Gary Brown may be part of the future of the Giants outfield, am I supposed to believe that Nori Aoki and Juan Perez will be part of the long term future? 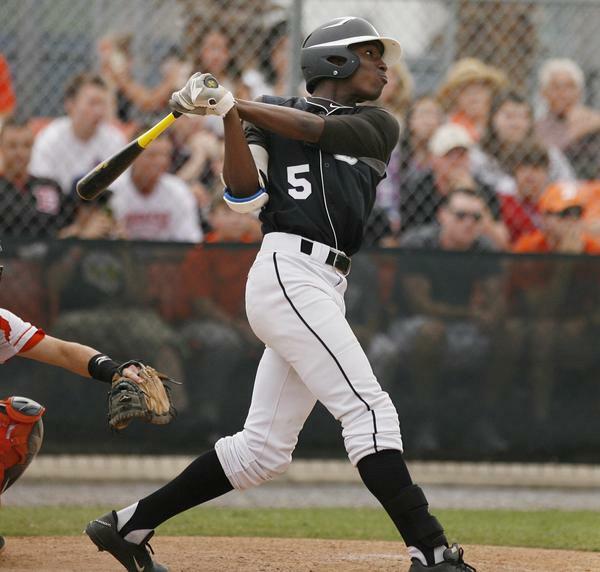 The Giants have many outfield options, both prep and collegiate in the compensatory round, but none offer quite the ceiling like North Carolina’s Skye Bolt. Similar in story to LSU shortstop Alex Bregman, Bolt started his college career quite nicely, showing signs of both power and speed, a rare combination. 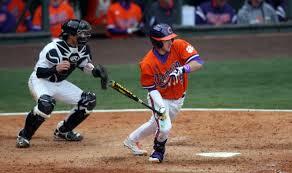 He slashed ACC pitching, hit 6 home runs, and showed solid patience at the plate. Bolt regressed slightly this past season, but he still has the potential to be a big time hitter in a major league lineup. The fact that he is a switch hitter will help his value even further. Should he play like he did his freshman year, he could be considered a dark horse top 15 pick. Gerrit Cole is certainly going to be a solid right-handed rotation arm for years to come, and while the rest of the Pirates homegrown arms, Glasnow, Taillon, and Kingham will come in due time, they will also all be right-handed, and there’s a certain predictability about that which makes drafting a left-handed pitcher that much more important. 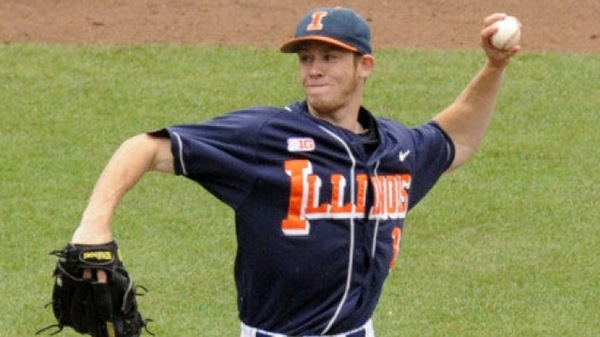 Tyler Jay, the Illinois southpaw, was originally mocked to the Nationals, but it’s become all but official that Max Scherzer will sign with the team, forcing them to lose their first round pick, which puts Jay back in the draft pool. I put him here for the exact same reasons. You can find them, albeit with strikethrough text, in my previous post. Note: Keep in mind, this pick isn’t official yet, but in all likelihood, will happen. Whether or not the team who signs James Shields is one of the ten worst teams or one of the 19 other teams who stand to lose a draft pick, is yet to be seen. One of the major proponents of the build, not buy, philosophy, the Royals finally saw their long term plan come to fruition by becoming the 2014 AL champions Thanks to a nucleus of well-developed talent, Kansas City could be a legitimate dark horse threat in the AL for years. And to continue that sustained success, the Royals should look to develop more parts. Losing Nori Aoki and Billy Butler, both a key hitter and a key runner, is going to be difficult, and the Royals would love to have a guy who can at least try to replicate both. Gulf Coast High School outfielder Kyle Tucker may not be as fast as Aoki, and he may not be as powerful as Butler, but if developed properly, he could be an adequate replacement for both of them in about four or five years. 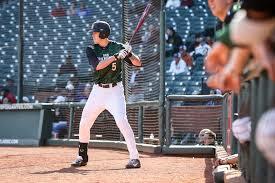 The brother of Preston Tucker, an Astros farmhand, Tucker is one of the more gifted hitters in his class. Although he’s somewhat lanky, he still is an excellent hitter, his swing is one of the best, if more unorthodox, in prep ball. Tucker is defensively capable, but while he is a centerfielder now, expect him to move to right field when he turns pro, as he has an arm more suited for the corner positions. We all knew that Max Scherzer was never going to stay in Detroit, and in all likelihood, neither will David Price. A contingency plan had been in place with Jonathan Crawford and Kevin Ziomek, but Crawford left by way of the Alfredo Simon trade. I know it sounds like I’m talking about replacing Scherzer and Price immediately, but I could not be any further from that sentiment. Rather. it may be time to develop another set of arms for Detroit for the future. 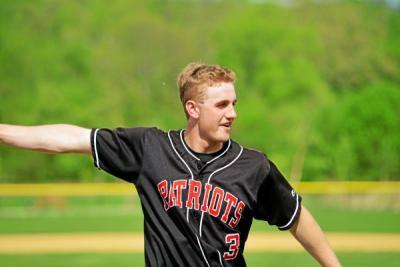 I still think the Tigers should opt for Andrew Suarez, but maybe I should flip him and their hypothetical second selection, Stroudsburg right-hander Mike Nikorak. A classic case of value in a northern prep arm, Nikorak has excellent tools, including a fastball which ranges from low to high 90’s. Well built, Nikorak really brought attention to himself during the showcase season, when scouts gushed on his pure stuff. Nikorak is an athlete, having played quarterback in high school, but his focus is strictly on baseball now. Development of his secondary pitches is key for him to establish a reputation as a solid starter, and given Detroit’s handling of pitching these days, Nikorak wouldn’t have much to worry about. It can’t be expressed how important a bullpen is in Major League baseball. There’s a difference between letting a starter sit because the manager is confident that a reliever can keep the momentum, and forcing said starter to pitch longer because the particular relief corps is weak. And while the Dodgers have one of the best rotations in baseball, not to mention some decent relief pitching from Paco Rodriguez and Kenley Jansen, it wouldn’t hurt to add another solid arm to that mix. 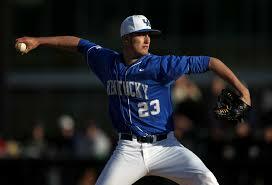 Like AJ Reed (who ended up being drafted as a hitter), Alex Meyer and James Paxton before him, Kentucky pitcher Kyle Cody is considered a high talent. 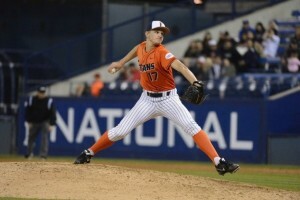 Cody has the ideal pitcher’s body at 6’7″ and 245 pounds, and he uses it as an emphasizer for his mid 90’s fastball. Cody has the potential to work his fastball into the triple digits, should he be used exclusively out of the bullpen, but there will be teams who want to try him in the back end of a major league rotation. Should the Dodgers take him, I see him more of a former than a latter. Oriole Park at Camden Yards isn’t exactly the most ideal place for a speedster, but that doesn’t mean that there shouldn’t be one in the Orioles future lineup. While it’s ideal to have a fast slugger in a lineup, sometimes a guy whose primary weapons are his legs may be the perfect solution to adding a degree of dimension to a lineup that’s more power oriented. Clemson speedster Steven Duggar is considered the fastest collegian, perhaps even the fastest first round prospect this year, depending on if you’re in Kyler Murray’s boat. Duggar’s primary weapon may be speed, but he is fleshed out enough that he can be more than a singles hitter, even if he has shown limited potential on the power front. Duggar is also a decent defensive player. While situated in a corner spot right now, scouts believe he has the potential to play center field. However, in a park like Camden Yards, perhaps the corner would be the best spot for him. Duggar would be the perfect future complement to Chris Davis and Adam Jones, and his speed will ad another dimension to the Orioles offense and will allow them to continue their stronghold of the AL East for years . And that is the final part of the 2015 Mock Draft. Stay tuned, as the next one will likely be released in time for MLB.com’s top 100 prospects and team top 20 prospects lists. 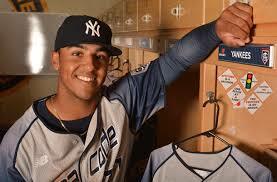 The first 14 picks have been revealed for MinorLeagueMadhouse’s 2015 MLB Mock Draft; what happens with the next seven? The Braves dismantled their outfield, with the exception of BJ Upton, this winter, sending Justin Upton to the Padres and Jason Heyward to the Cardinals. When a team decides to take apart an area that could be considered well-established, it’s clear that something has gone wrong. Even the current Braves outfield leaves a lot to be desired, which brings me to whom they should draft. DJ Stewart is Florida State’s top outfielder, a tank of a man, who, although he saw his stock drop somewhat due to a poor summer, scouts feel that it’s nothing to worry about. Though he looks the part of a slugger, Stewart needs some fine tuning to actually be a true power hitter, as his stance and swing prevents him from making powerful contact.Although it looks like a reach now, Stewart’s potential, plus the opportunity in his junior year, will definitely springboard him into the top 15, especially in a weak collegiate hitter’s market. Not only that, but Chipper Jones would potentially endorse the move, especially given the fact that Stewart went to Jones’ prep alma mater. The Brewers are probably the last place you’d look these days for a homegrown pitcher, but the emergence of Tyler Thornburg and Jimmy Nelson as potential All-Star starters has allowed the team to stop being averse to drafting high pitching. Heck, they took a chance on Devin Williams and Kodi Medeiros the past two years, maybe it’s time to go for a bigger fish after having slow success with the once thought to be deadly combination of Taylor Jungmann and Jed Bradley. In this year’s strong collegiate pitching class, the Brewers have plenty of options, even if they’re mainly right-handed starters. 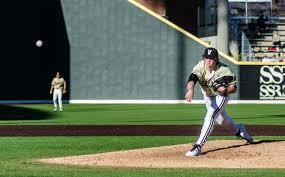 Take Vanderbilt starter Carson Fulmer for instance. The latest in a long line of intriguing Vanderbilt prospects, Fulmer can throw mid 90’s heat with regularity, and has solid secondary and tertiary offerings to give him dimension. What Fulmer needs work on is his control, and his delivery needs to be less… severe. Although scouts will constantly knock pitchers who lack height, Fulmer’s experience with the Commodores and Team USA, both premier levels of competition, have shown that it is just a number, and given Marcus Stroman’s successful debut this season, Fulmer can only help that opinion change further. When it comes to the Yankees, especially in the draft, they usually go for players that either have major name recognition or are just plain good. Need proof? In 2008, the team drafted Gerrit Cole, who three years later would become the top pick in the 2011 draft, and another two years later, the ace of the Pittsburgh Pirates staff. 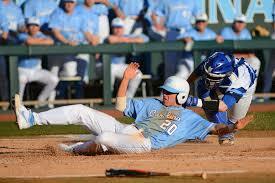 In 2011, they drafted Dante Bichette Jr, the former little league star and son of Rockies legend Dante Bichette. In 2012, they drafted Rob Refsnyder, that year’s College World Series Most Outstanding Player, and in 2013, they took Ian Clarkin, who has emerged as one of the best young starters of the 2013 class. 2015 might as well be known as the year of the famous retreads, as both Brady Aiken and Phil Bickford, a former CSU Fullerton Titan, now a member of the College of Southern Nevada, highlight this year’s class. Bickford’s got the fame, as the only member of the 2013 first round draft class not to sign, he’s since dominated the summer league circuit after a meh freshman year at Fullerton. After being voted the Cape’s best prospect, Bickford left Fullerton, deciding that 2016 was too long of a wait for him. Bickford’s fastball is the main reason why he’s such an appealing project, a mid 90’s offering with plenty of life, he can play the strike zone to his advantage. His slider has also become a solid pitch, and while he does need development on his third, a change, he could become a solid 3 pitch starter. Bickford is definitely more than a name though, and he’ll be worth watching when he plays his final season in college, or to be more precise, junior college. I find it incredibly hard to believe that the Cleveland Indians are that bad at developing starting pitchers, especially out of college. What are they, anti-moneyball? While they have had success with developing pitchers that they have gotten elsewhere, see Corey Kluber as the major example, the fact that the Indians have failed to make a homegrown pitcher blossom since CC Sabathia is baffling. Maybe there is hope that Kyle Crockett will buck the trend, but that’s another story. There’s a caveat to developing small school pitchers, that the athlete will be on a major learning curve, that they haven’t exactly faced prime competition, but really, if it’s that hard, then why draft small school pitchers in the first place? 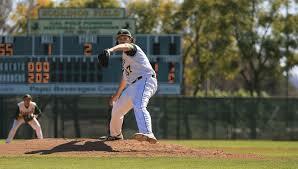 Of course, pitchers like Division II star and Cal Poly Pomona ace Cody Ponce would really be at a major disadvantage. Ponce worked his way through two seasons of California Collegiate Athletic Association baseball to make it to the Cape League this past summer, and while there, scouts got a taste of why Ponce is special. While he is a work in progress, Ponce does offer more pitches than your average hurler, and a strong fastball can be improved even more if Ponce can give it more life. Ponce’s appeal though is his ability to keep the ball in the park, and while Progressive Field is no Yankee Stadium, and the CCAA is no SEC, the ability to keep the ball in the park is going to help Ponce more than hurt him regardless of competition or home stadium. Ponce will be a work in progress, but if the Indians pitching coaches can somehow turn a Stetson product into a Cy Young winner, it wouldn’t hurt to see what they could do with a Division II star. I am of the belief that a team often needs to stretch out of their comfort zone when it comes to drafting and developing prospects. And while I did catch a little flak for saying the Giants should go for a prep outfielder when there were plenty of pitchers, which is their forté, my belief is that the Giants will need to build in other areas in order to stay competitive. A third baseman can be replaced by the next man up, in this case, Matt Duffy, but when you lose two big power guys in one offseason, in a weak free agent class, then maybe it’s time to start looking at future homegrowns. I’ve been pretty high on Miami 1B/3B David Thompson for a while. 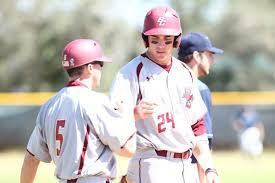 He’s a prodigy, the first Hurricane hitter to ever make his debut as a cleanup man, and a constant All-America threat. While his sophomore campaign was cut short due to life saving surgery for Thoracic Outlet Syndrome, he showed that he hadn’t lost a step when he played in the Cape that summer. Thompson is a student of the game, he was able to reinvent his swing after his injury, and he really adjusted to the learning curve in summer ball. Health will be an issue, but if Thompson is able to get back to his freshman potential, then he’ll definitely be a late first round pick. Every so often, there’s a team that has such a dearth of talent in their system that you wish they would just not have a first round pick. In this case, it’s the Pirates. The Pirates are strong in this year’s draft’s areas of strength, outfield, and right-handed pitcher, which means that BPA is the best way to go. The BPA for the Pirates would be Brother Rice High School outfielder Nick Plummer, A lefty, Plummer is valuable because he has advanced power for his age. 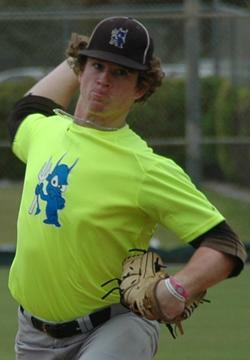 Plummer also has a good baseball IQ, taking “reach” pitches and aiming for the gaps. Plummer is no Andrew McCutchen, nor is he Austin Meadows, but he could find value in a lineup as a 6 hitter. It’ll be interesting to see if he can improve his stock in the coming season. I could use the refrain from Kenny Rogers’ The Gambler as my intro for the Oakland A’s, as they pretty much gambled their bright future, that is, Addison Russell, Billy McKinney, etc. for a shot at the World Series which ultimately failed, leading to a Marlins type fire sale for prospects whom I wouldn’t even recognize. It was clear that when the A’s ditched Moneyball, they really got some major talent, but sometimes, familiarity with an old system may be the best option. In fact, familiarity as a whole is often the best way of going at things during a rebuild. 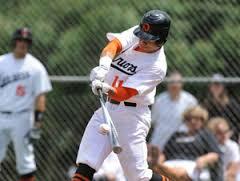 Meet University of the Pacific outfielder Gio Brusa. In perhaps the weakest hitting class of any draft, Brusa stands out by being a switch hitting slugger. Although he’s only recently reclaimed his hitting ability in summer ball that led to a failed 5 round courtship by Boston in 2012, Brusa’s potential could lead to him hitting 3rd in a major league lineup. 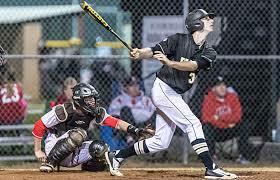 Brusa is a more well-rounded athlete as he has solid running and fielding ability to complement his hitting. He also has the added appeal of being an in state and somewhat local product; University of the Pacific is based in Stockton, home of the Ports, the A’s California League club. Here’s part 2 of MinorLeagueMadhouse’s Mock Draft. Before the 2013 season started, Toronto had two really good catching prospects and a somewhat decent veteran. Now, they have… Josh Thole, Mike Nickeas, and one prospect whose value has taken a tumble. Kyle Schwarber, who helped Indiana make the College World Series last year, is like Toronto’s former big prize catcher, JP Arencibia, except he’s not just a power guy who strikes out a lot. Schwarber’s game is more balanced on the offensive side. However, for his hitting ability, he’s not a plus defender. If he’s to stay behind the plate, his defense will need some fine tuning, or he’ll become another Piazza. Every once in a while, the state of Connecticut produces a quality collegiate talent. Two years ago, it was George Springer and Matt Barnes, this year, it’s Sean Newcomb. Coming out of the same school that produced Jeff Bagwell will do wonders for his reputation, but as for himself, what endears him to scouts is his fastball and his ability as a strikeout pitcher. Newcomb has other pitches which he can get batters out with, but what he needs is a consistent delivery. Still, in a system that’s starved for southpaws, Newcomb may be Milwaukee’s next big lefty hurler. One of the benefits of drafting a two way player out of high school is that there’s more time for that player to develop, so if in one area they fail, they will develop in another. Gordon, who has a baseball pedigree thanks to his father, former reliever Tom Gordon, and brother, Dodgers shortstop Dee Gordon, has his brother’s speed and arm, and his father’s fastball and curveball. Still, scouts see his value as a shortstop more. Although the Padres have tried to stay away from prep hitters as of late thanks to the failures of Donavan Tate and Matt Bush, Gordon’s pedigree and adaptability may be too good to pass up. The Giants already have one home state product waiting in the wings to take his spot in the outfield, why not go for another one that’s right in their backyard? Zimmer, the brother of Royals pitcher Kyle Zimmer, can hit and throw, and while he’s not as fast as Gary Brown is, he has the ability to play as a 3 or 5 hitter in the Giants lineup. Although the Giants have locked up Hunter Pence for five years, my gut tells me that they are going to regret it, and will want a younger guy patrolling the vast outfield of AT&T Park. The Angels system is arguably the biggest joke in baseball right now. With no one in the top 100 and the top prospect in their system likely making the majors soon, it’s time to restock once again. While there are so many options for the Angels to pick, if they want to strengthen their system, they’ll opt for a high school talent. Luis Ortiz is a NorCal product who has a fastball that he can throw with ease. When he’s not using his fastball, his slider also works as a Major League offering. Ortiz has a body fit for pitching, so development isn’t that much of an issue, but what does need improvement is his control. Still, if the Angels want a bona fide prospect to rebuild their system, Ortiz is that guy. 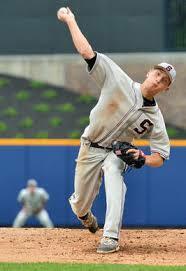 Braxton Davidson is probably one of the better all around prep players in this year’s draft. His offensive game is definitely the most polished, and his arm and fielding ability make him an asset for teams that play in bigger parks. While he doesn’t have the speed to play center, his arm makes him a near lock to play one of the corner spots, left field especially comes to mind. Davidson’s power isn’t as big as Paul Goldschmidt’s, but in the Arizona lineup, he definitely looks to be a #3 hitter at best. “But the Orioles already have a catcher locked up for the long term!” Yes, but given the life expectancy of a catcher’s knees, in all likelihood, if they do draft Pentecost and he rises through the system at the normal rate, Matt Wieters will probably be a designated hitter. Moving along from that, Pentecost isn’t as flashy as draft mate Kyle Schwarber, but his game is balanced in areas. He was once a highly touted prospect three years ago, and would have been a Texas Ranger, but an injury and a strong commitment to Kennesaw State kept him from going pro. In a draft class that is ripe with small school talent. Pentecost is a hot commodity. He’ll certainly be worth the pick for a team looking for a future catcher. The Royals are the model of developing prospects, but the prospects that have been highlighted over the past few years are starting to graduate to the Majors. In developing the next crop of quality prospects. Kansas City should go after a good Alex Gordon-type hitter. Derek Fisher is one of the bigger names from a bigger school. 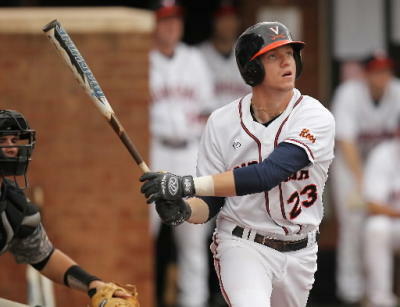 The Cavaliers outfielder may have started show in Charlottesville, but a strong summer league has propelled him to the top of a lot of preseason watch lists. Fisher’s biggest weakness, however, is his fielding ability, and if he can’t improve it, he may end up being what Billy Butler became: a young Designated Hitter. Although the Nationals have been building up on pitchers as of late, another one, particularly a lefty, wouldn’t hurt. Brandon Finnegan had a rough year last year, but as Gerrit Cole could probably tell you, a poor record isn’t usually indicative of one’s draft position. Finnegan has a fastball that’s worth a second look, as well as a solid slider. He’s short for a starter, but as a bullpen guy, particularly a closer, Finnegan may be one of the best options out there. What he needs to improve upon is his consciousness of his delivery, which could be used as a tell, which may have caused him to have a bad year. Still, the Nationals would be smart to look at him. There’s a stigma that seems to go against heavy pitchers, maybe because of health concerns, but for whatever reason, they still manage to carve out solid careers. Case and point, C.C. Sabathia and Bartolo Colon. Grant Holmes is nothing different. A big pitcher (6’2″ and 190 pounds, although those numbers are supposedly more generous than indicated), Holmes gets people out with a zippy fastball. He does have a couple of secondary pitches, including a curveball with an identity crisis (fast like a slider, but moves like a curve), and a developmental change up. Holmes’ baseball pedigree is not as well known as Nick Gordon’s, but it’s there, as his brother was a two time national champion at South Carolina. Holmes could join the two prep prospects that the Reds already have drafted in Robert Stephenson and Nick Travieso, and they’d make a solid portion of a typical big league rotation. There’s part two. Stay tuned for Part three, coming sometime this week. The Draft: When waiting three years is actually a good thing. Draftniks like I refer to the 2005 MLB draft as one of the best in recent memory. Why? Because in that draft, several picks became household names. That draft featured such attention-grabbers as Justin Upton, Ryan Zimmerman, Ryan Braun, Troy Tulowitzki, Ricky Romero, Andrew McCutchen, Jay Bruce, Jacoby Ellsbury, and Clay Buchholz, and those are just all-stars. Marquee names came in later rounds of the draft, Heck, even last year’s NL MVP came from this draft, although he didn’t sign. The MLB draft is the only draft (unless you count the NHL draft which players on amateur teams are taken as well) which offers high schoolers eligibility to be taken. In some cases, you’ll find that your favorite team’s new hotshot prospect didn’t attend college. But for all the high schoolers that do sign, there is usually a larger group that opts to attend college. Buster Posey may have been taken in the 2005 draft, but he opted to attend Florida State and ultimately raised his draft stock to the point where he was taken fifth overall in 2008, a heck of an improvement over the 50th round by the Los Angeles Angels. In fact, in the 2005 draft, eleven high schoolers who didn’t sign would end up being first round picks three years later: Brian Matusz, who would go fourth overall to Baltimore, Lance Lynn, who would be taken in the compensation round by St. Louis, Jemile Weeks, who would be taken by Oakland, Pedro Alvarez, who would be the number two pick by the Pittsburgh Pirates, Justin Smoak, Yonder Alonso, Ike Davis, Wade Miley, Andrew Cashner, Brett Wallace, and Posey. 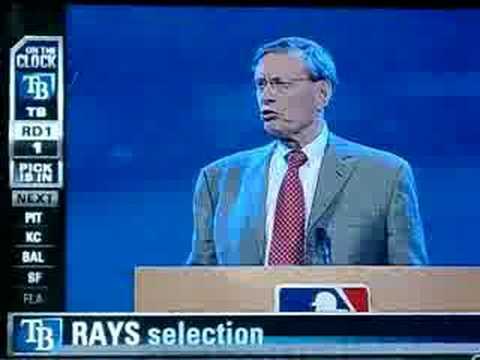 The 2008 Draft also has the dubious honor of being the last draft not done at the MLB Network studios. Three years later, a new set of high schoolers would avoid signing, and ultimately wait until 2011. Among them was Gerrit Cole, who was taken 28th by the Yankees, but who pitched 3 years at UCLA and ultimately was taken by the Pirates, who just called him up. So in a “six degrees of separation” way, the 2011 draft has connections to the 2005 draft. But will the excellence from the 2005 draft extend all the way to 2014, a full nine years later? It is a possibility. 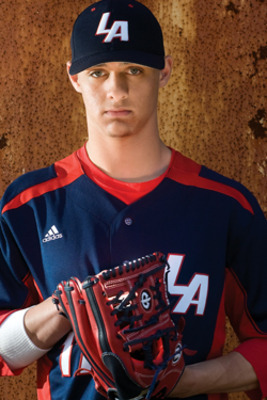 Vanderbilt ace Tyler Beede was a star at Lawrence Academy in Massachusetts, and seemed destined to become a first round pick. However, instead of going for the money, Beede displayed a strong sense of loyalty, and urged teams not to pick him, as he wanted to pitch for the Commodores. The Toronto Blue Jays obviously didn’t listen, tabbing him with their first round pick, and while the damage was minimal when he opted to go to college, as the Jays had several compensation picks, plus the added benefit of two first rounders the following year, the team must really regret not completely blowing Beede away while signing bonus restrictions were still a year away. 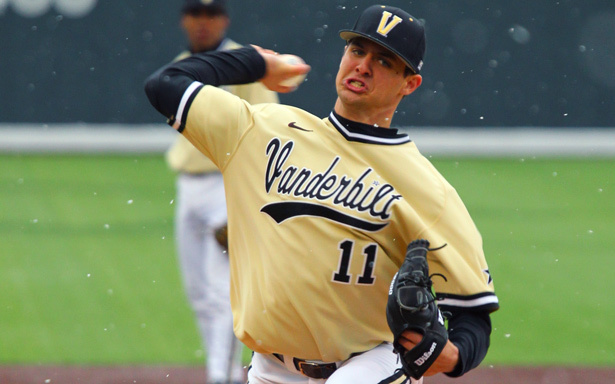 Beede has helped bring Vanderbilt into the national title discussion, for at least next year. He broke several pitching records at Vanderbilt, and now, the only thing left to do is compete with North Carolina State pitcher Carlos Rodon for the honor of being taken first overall in the 2014 draft. While certain mock draft sites are pulling for Rodon, it seems that Beede, who has redefined the SEC as a pitching powerhouse instead of the traditional hitters haven, could find himself in Miami, Houston, Milwaukee or New York next year, and could turn out to be something extra special. While nobody really knows any of the 2014 prospects outside of Beede and Rodon, it will be interesting to see which 2011 spurners turn out to be first rounders, which 2014 spurners wait until 2017, and so on. I look forward to seeing Beede, Rodon, and the other 2011 spurners excel, and hope that many collegians are taken in the first round next year.